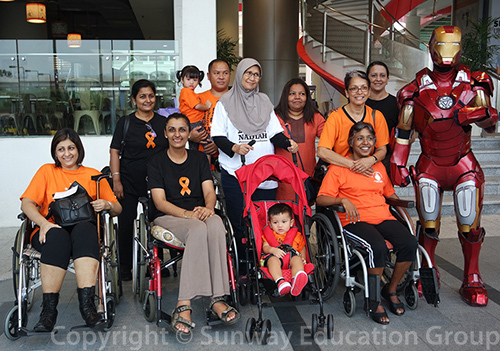 Aimed to create public awarenes on Multiple Sclerosis, the walk was planned to be both educational and informative. Participants were posed with various questions where along the route, they collected the answers and in turn learned more about the disabling disease. “The main objective of this community project is to provide an opportunity to create awareness of the Multiple Sclerosis (MS) disease, among our students, Interact Club members in secondary schools as well as members of the public who participate in the event. In addition, the walk will complement existing students’ extracurricular activities, besides classes, assignments and examinations. It provides students the opportunity to meet the Rotaractors and Rotarians and expand their social network”, said Associate Professor Dr Nagiah Ramasamy, Sunway University Business School, Rotarian and Faculty Advisor of the Rotaract Club of Sunway University. 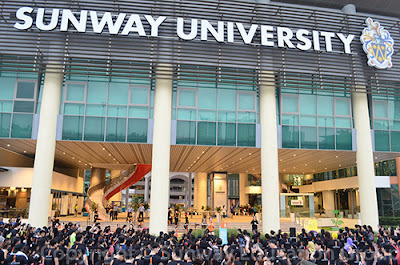 Almost 900 participants took part in the walk. A donation from Novartis for a sum of RM5,000 was donated to the Multiple Sclerosis Society of Malaysia. 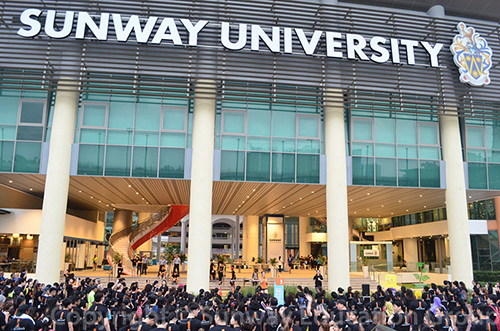 Sunway University hosted this event last year and previously in 2014. 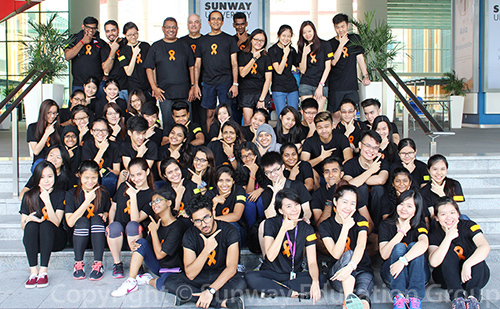 The walk is a signature project of the Rotaract Club of Sunway University, and is now a permanent fixture in the university’s calendar. Main sponsors of the event include the Rotary Club of Bandar Sunway, Yeos, Magnolia, Revive and Gardenia. Rotarians from the Rotary Club of Bandar Sunway also sponsored items for the goodie bags. After the walk, participants were treated to breakfast and ice-cream. Popcorn too was served, sponsored by the Rotary Club of Lake Gardens, Kuala Lumpur. Multiple sclerosis (MS) is a potentially debilitating disease in which the body's immune system eats away at the protective sheath (myelin) that covers the nerves causing interference in the communication between the brain, spinal cord and other areas of the body. This condition may result in deterioration of the nerves themselves. People with severe cases of multiple sclerosis may lose the ability to walk or speak clearly. Multiple sclerosis can be difficult to diagnose early in the course of the disease because symptoms often come and go - sometimes disappearing for months. While multiple sclerosis has no known cure, treatments may help treat MS attacks, manage symptoms and reduce the progression of the disease.